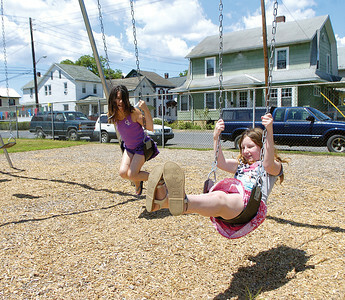 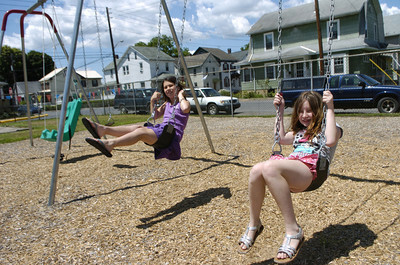 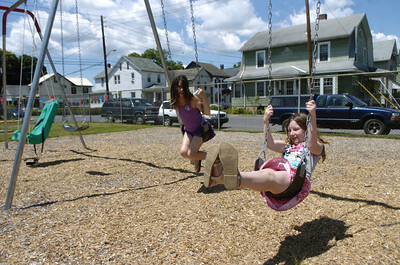 Shyanne Kipple, 9 Sunbury, and Katy Johnson, 9 Sunbury, swing on the swingset at the Good WIll Hose Compnay playground during the grand opening on Saturday. 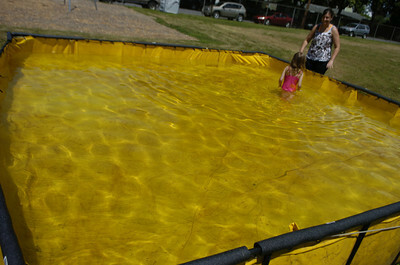 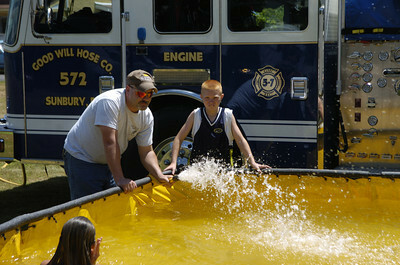 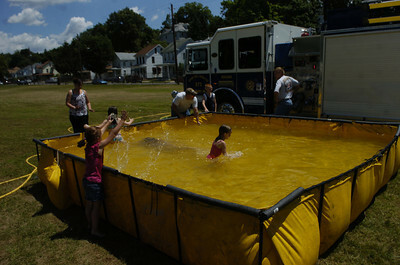 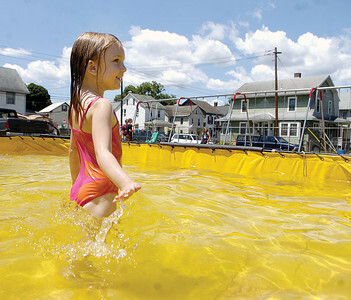 Kyrie Kelly, 3 Northumberland, swims in a pool set up by the fire company during Saturday's opening of the Good Will Hose Company playground on Fifth and Line St. in Sunbury. 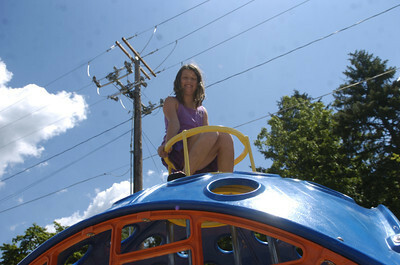 Shyanne, 9 Sunbury, climbs down a new piece of playground equipment during Saturday's grand opening of the Good WIll Hose Compnay playgroudn. 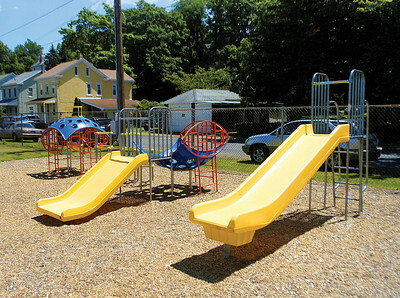 The new playground equipment at the Good Will Hose Company playground. 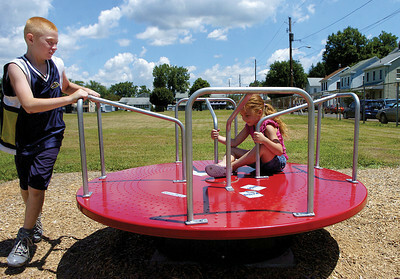 William Spigelmeyer, 10 Sunbury, pushes his sister Chelsea, 4 Sunbury, on one of the new pieces of equipment at the Good Will Hose Company playground on Saturday. 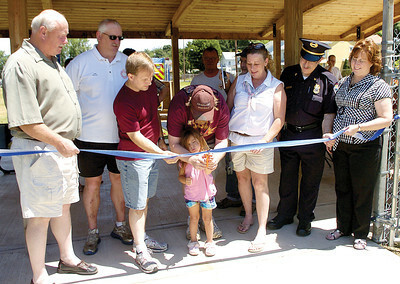 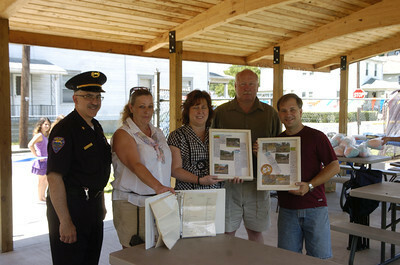 Sunbury councilman Jim Eister; Sunbury Fire Chief Mike Rhoads; Darrell Shaffer, organizer; Brain Thomas, volunteer; Kaylee Gaustch, Little Miss Goodwill; Janice Corcoran, Playground Committee Member; Sunbury Police Chief Steve Mazzeo and State Rep. Lynda Schlegel Culver at the ribbon cutting for the Good Will Hose Company playground on Saturday afternoon.